Ladies and Gentleman, a brand new KOTOBUKIYA Japanese import! The first Metal Gear Solid game was released on PlayStation in 1998 and featured stealth action as directed by Hideo Kojima. 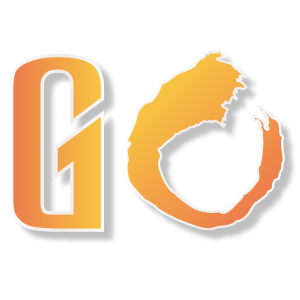 A massive commercial success, “MGS” has gone on to include sequels and stories told through several other media. 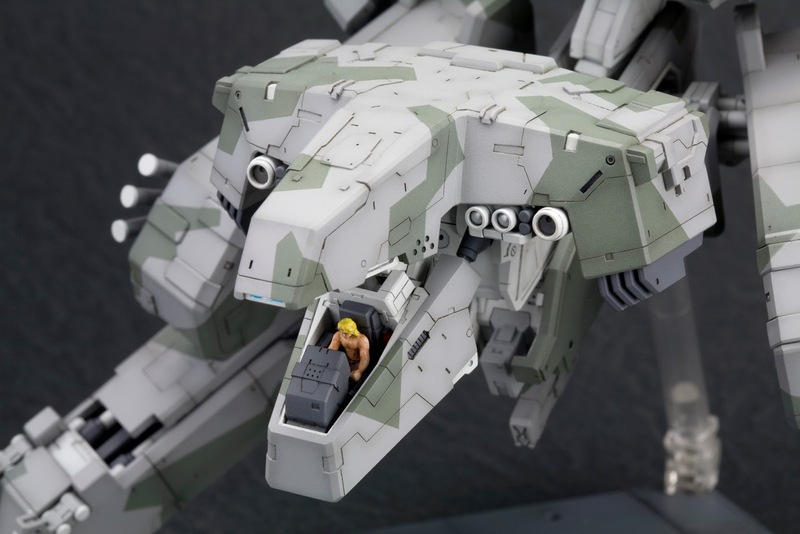 Some of the coolest things about the series are the Metal Gears themselves, walking tanks equipped with nuclear weapons. 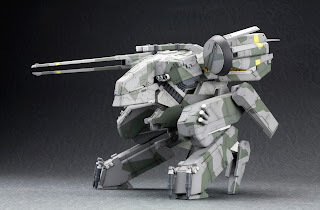 Now Kotobukiya proudly presents a new model kit of the ultimate Gear from MGS, METAL GEAR REX! 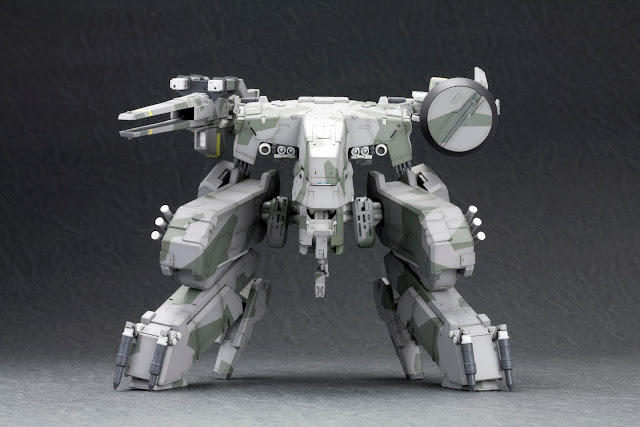 Designed by Yoji Shinkawa, REX stands on massively armored legs and wields a huge railgun in addition to gatling guns, missiles, and a laser. The aerodynamic main body has a forward pointing cockpit and a radome to send the pilot additional data. The REX model kit stands nearly 9 inches tall (1/100 scale) and has multiple points of articulation including legs that fold up allowing the cockpit to rest on the ground. 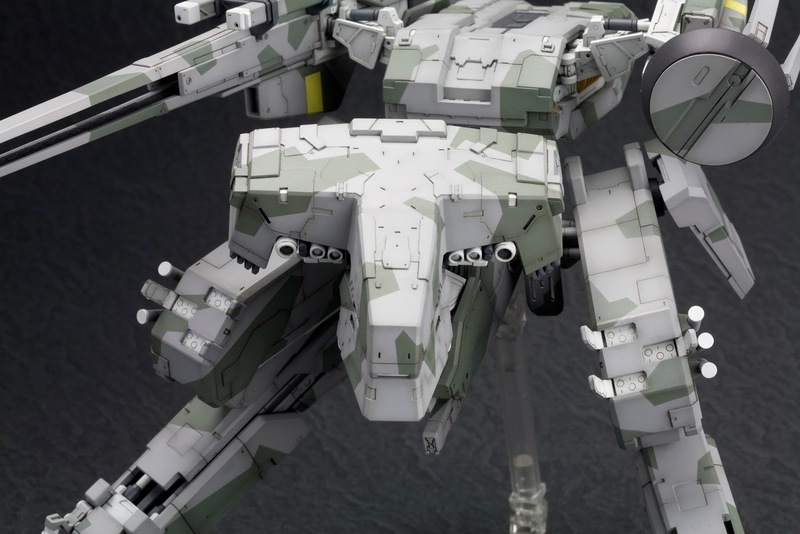 The Gear is comprised of 600 pre-colored pieces and is recommended for experienced model builders. 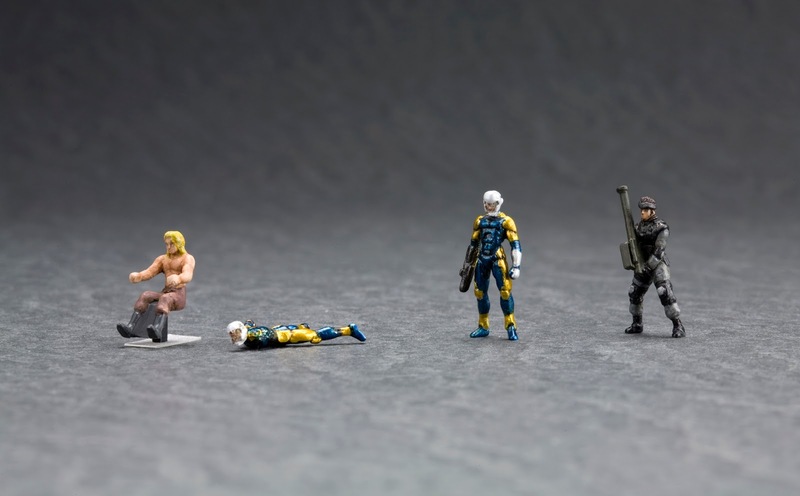 Also included are four 1/100th scale figures of game characters, allowing for the recreation of scenes from the game! Estimated cost $79.99. Scheduled for release by January 2013. 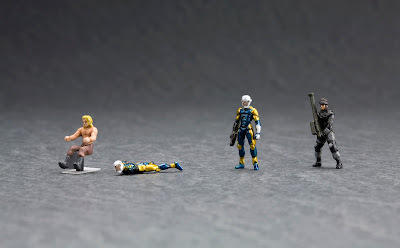 Also included with the model kit are mini figures of Solid Snake and other characters.